According to a new national survey from Ottawa-based Abacus Data, Canadians are cautiously pessimistic about the state of the Canadian economy. While outlooks were primarily neutral for the overall health of the economy, with a majority (51%) of Canadians saying that the economy will stay about the same over the next six months and nearly half (49%) saying that the current state of the economy is “OK”, worries emerged around job security. 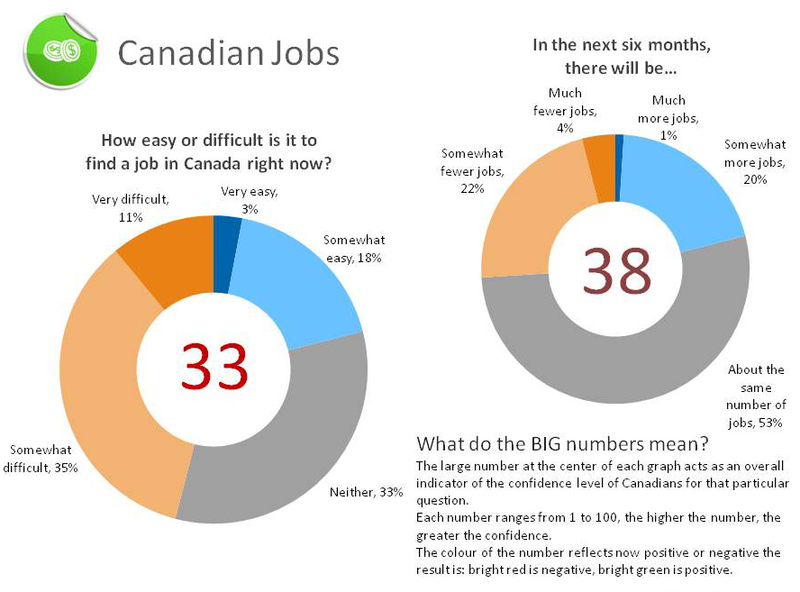 When asked about jobs, over half (53%) felt that there would be about the same number of jobs, while 45% of Canadians indicated that it is either somewhat or very difficult to find a job right now. Visit www.abacusdata.ca to download the full report. Abacus Data is introducing this report as the first in its new ECONfidence series. This index will be a quarterly release aimed at reporting the feelings of Canadians on a number of key economic indicators, from general outlook on the economy, through purchasing habits, market movements, jobs, interest rates, and more. Once sufficient tracking data has been gathered, the ECONfidence Index will be published with every release. Each individual index score is derived from the percentage value of the mean score for the associated variable and turned into a number from one to 100. 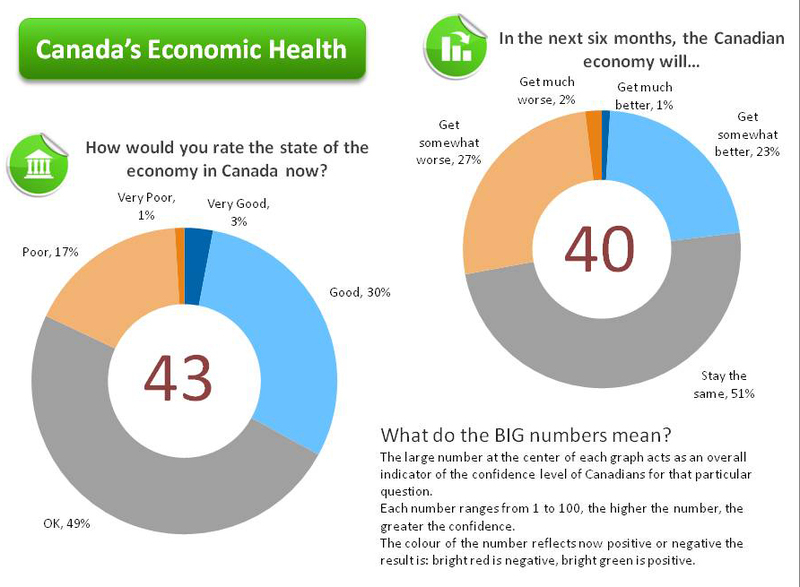 These values will aggregate to present a concise measure of Canada’s economic confidence.